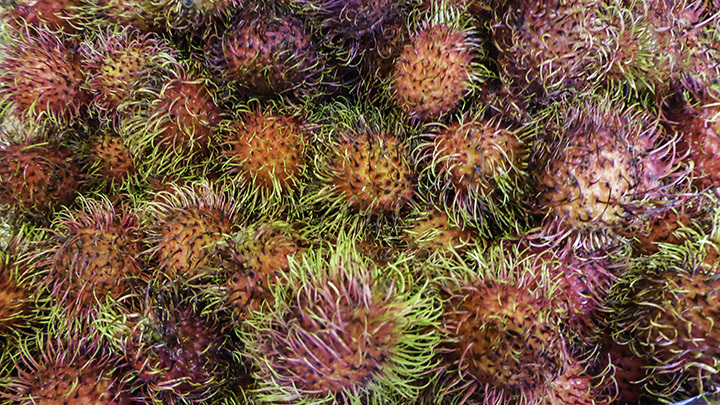 Rambutan fruit from farmers markets on Kauai. Why Visit the Farmers Markets on Kauai? Kauai is known for its friendly people and spectacular landscapes. And at farmers markets on Kauai, visitors can sample the island’s most delicious produce. Whether you are craving a papaya, mango or kalua pig, you can get them at the farmers markets on Kauai. On Kauai’s north shore, the Hanalei Farmers Market is a must-see for visitors in the area. Held on Saturday near Hanalei, vendors sell anything from local produce to chocolate-covered bananas and coconut chunks. You can pass through stalls selling smoked pork, fresh-squeezed juices, free-range chicken and quail eggs. With over 40 vendors, there are plenty of dishes to sample, baked goods to snack on and crafts to collect. Open every Tuesday afternoon at 2 pm, the Waipa Farmers Market is west of the Waipa bridges. Its booths offer fresh vegetables, eggs, homemade granola, cookies, savory meats, herbs and flowers. Buy a Waipa Farmers Market bag or t-shirt as a souvenir to remember the occasion. Visitors to the Kapa’a Farmers Market are certain to find a wide variety of fresh produce. They can include: starfruit, dragon fruit, bok choy, avocado, ginger and even the jackfruit. 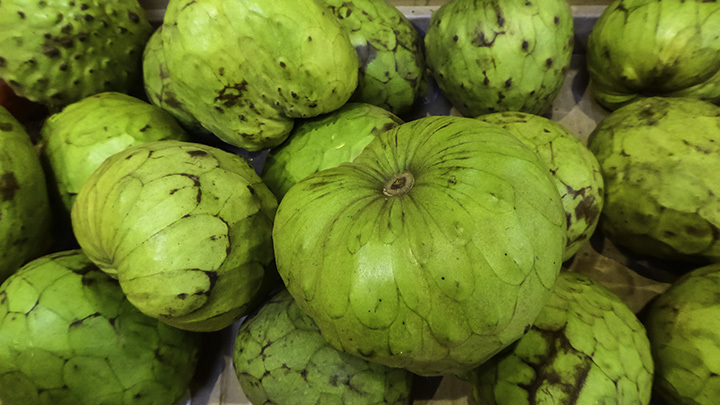 Although this unusual prickly fruit might be on the smellier side, you should try sample of jackfruit. Then you’ll be blown away by its sweetness. If you find yourself on a Wednesday afternoon around Kapa’a, be sure to stop by. The Coconut Marketplace has a farmers market on Tuesday and Thursday mornings. Despite it being somewhat small, nearby shops, hula dancing and live music make it an enjoyable place. Open every Monday afternoon, this market specializes in exotic fruits. Examples include: rambutan, lychee, eggfruit and chiku. There are between 30 to 40 vendors at this market. Here, visitors can purchase items such as candied pineapples, dried fruits, mango pie and fresh coconut milk. Unlike traditional farmers markets, Kauai’s Culinary Market focuses more on unique culinary products. Here, customers can purchase honey, spices, jams and baked goods not typically seen elsewhere. You can also buy kitchenware while witnessing live cooking demonstrations. This market would be an inspirational stop for homemakers everywhere. Like the Kauai Culinary Market, this market works with the Kauai County Farm Bureau to provide hot meals on site. Additionally, they sell fresh produce from farms on the island. They even stage special events such as live concerts and cooking demonstrations. These county-sponsored markets specialize in produce and plants grown by farmers of the Kauai Grown organization. At the sound of a whistle, the booths open. Then their produce and plants begin selling like hot-cakes. These brief sunshine markets seldom last longer than a few hours. So it’ll be important to be punctual. Check with Kauai county offices for the markets and their days of operation. Whenever visiting the Garden Isle, make sure you stop by one of these farmers markets on Kauai.